About the author: John Su is an established skin care expert and aspiring dermatologist. He also runs a blog, The Triple Helix Liaison, dedicated to providing unbiased, meaningful, and insightful information about skin care. For his full bio, please visit our About page. I’ve been on such a kick talking about tretinoin recently, that I figured I might as well talk about the other elephant in the room. If tretinoin is the mother of all topical treatments, L-ascorbic acid would undoubtedly be its father. Together, these two ingredients form the cornerstone of modern-day skin care. Though several other classes of ingredients have gained prominence in recent times such as polyphenols, flavonoids, and hydroxy acids; none can rival the combined preventative and corrective effects of these two giants. What is L-ascorbic acid, anyway? L-ascorbic acid is chemically a hydrophilic monovalent hydroxyl compound; colloquially it is basically a water-loving (or water-soluble) molecule that possesses many singly covalently-bonded hydroxyl groups, which largely determine its function and role, such as those in ionization and various hydrogen bonding scenarios. Many people know that L-ascorbic acid is beneficial, but don’t know the reason why it enjoys such attention. So I’m going to lay it out for you! L-ascorbic acid inhibits melanin production, so it can help with irregular hyperpigmentation such as melasma. Specifically, it reduces o-DOPAquinone back to DOPA, thereby, avoiding melanin formation (1). It however, has not been shown to significantly lighten the skin for example, from NC40 to NC30. UV Damage: Being an excellent electron donor, L-ascorbic acid acts as a potent antioxidant against reactive oxygen species (ROS) like the superoxides and hydroxyl radical from peroxides because it interferes and “scavenges” the lone electrons that all radicals possess (2). Collagen Production: Because the L-ascorbic acid ion is a cofactor for the enzymatic activity of prolyl hydroxylase, which binds aspects of procollagen prior to triple helix formation (like my blog name! ), it is essential for collagen synthesis (3). The introduction of L-ascorbic acid to fibroblast cultures have been shown to upregulate collagen production because it increases the transcription rate of genes that code for procollagen as well as elevating procollagen mRNA levels (4). In other words, the presence of L-ascorbic acid increases the rate at which genetic information instructing the creation of additional collagen is manufactured while adding additional “messengers” to deliver these instructions, resulting in more finished “product,” or in this case, collagen. 1.) Packaging. Vitamin C is sensitive to light and air, so small, dark bottles and airtight pumps are best. 2.) Low pH. 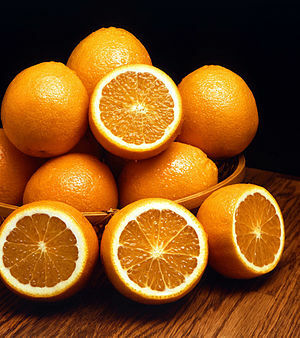 Look for vitamin C in acidic form, as with Skinceuticals CE Ferulic. 3.) Vitamin C with vitamin E or alpha lipoic acid, both of which are found to increase vitamin C’s strength. L-ascorbic acid is notoriously difficult to stabilize because it is such an excellent antioxidant, and therefore electron donor. It will gladly donate electrons to the oxygen content in air (to form water) and become doubly oxidized, forming dehydro-L-ascorbic acid (DHAA), which contains an aromatic (lactone specifically) ring. If further oxidized, the ring will open and the molecule (now diketogulonic acid) will become completely useless. All of this happens within hours after initial exposure. Therefore, a Vitamin C product needs to be properly packaged. Ideally, tube packaging or an airless pump bottle would be best. The packaging also needs to be opaque since UV radiation such as sunlight will degrade the L-ascorbic acid and any other antioxidants present. Furthermore, being an acid with a pKa(1) of 4.2, L-ascorbic acid needs to be incorporated into a vehicle that has a low pH (less than about 3.5) in order to function and more effectively penetrate the stratum corneum. Finally, several other antioxidants have been shown to work in-tandem or synergistically with Vitamin C, such as vitamin E and alpha lipoic acid. For example, vitamin C can reduce oxidized vitamin E, effectively recycling the latter for further use (5). Therefore, products with more than just L-ascorbic acid as their primary antioxidants are recommended. Chemical penetration enhancers wouldn’t hurt either. Ascorbyl Glucoside, Magnesium Ascorbyl Phosphate, L-Ascorbic Acid: What are the Differences Between Various Forms of Vitamin C? Do African-Americans Need to Wear Sunscreen? Which is Better: Kojic Acid or Hydroquinone? What Treatments are Best for Acne Scars, Dark Spots, Sun Damage, and Small Spider Veins?